While face-to-face with your prospects or customers you can instantly build rapport and gain trust — plus you have their direct attention. Read the article Effective Public Speaking in Business Presentation. This can be a sales presentation, a free seminar or a workshop. Your attendees can get to know, like and trust you quickly. Read the article Are Seminars an Effective Way to Get Clients for Your Business?. Everyone knows about 250 other people. The potential contacts for direct business or referrals is enormous. Read articles on networking. You can use the phone to call a current customer for a re-order or to let them know about a special offer on a new product or service. You can also use the phone to build your prospect list. It’s the next best thing to being there. Read articles on telephone marketing. It’s only ‘junk mail’ to the people who don’t want it. Chocolate lovers, love getting chocolate catalogs and offers in the mail. We just went to see a play by one of our local theater groups because of a post card we received in the mail. By mailing your message, you have the opportunity to provide as little or as much detail as you like. Read articles on direct marketing. Everywhere you look there’s a sign! Billboards, store front signs, in-store signs, wall signs, even magnetic car signs. Signs are an excellent vehicle for delivering your marketing messages. You can use classifieds, small display ads or full page ads. Make sure you choose the section that targets your prospects, and include a strong offer and call to action. Test small. 8. Ads: Calendars, Bulletins, etc. Other publications for displaying your ads, are church or community calendars and bulletins, ceremonial or theater programs, even place mats. Newsletters–either hard copy or electronic–are terrific vehicles for delivering your messages. Just make sure the newsletter targets your primary prospects and you have a strong offer. If you have the type of product or service that people find by turning to the yellow pages, this may be the perfect vehicle for you. Keep accurate track of your responses so you’ll know whether it’s worth the investment. The expense can be cost-prohibitive for many businesses, but for some it is the ideal method for communicating to the masses. If your product or service has a broad target and your budget allows, it could be worth testing. More cost-effective and better targeted. You can either run ads, or, if you’re really ambitious, host your own tips program. Can be great for building awareness or supplementing other vehicles. Can be expensive, but worth it for many established businesses. Excellent way to meet your prospects face-to-face. Very targeted. Make sure you’re not just handing out literature that will get dumped in the trash as they leave. Make contacts and follow up. Read articles on trade show marketing. Can be effective for home oriented products and services, like pest control, lawn care, etc. Create your flyer with a strong benefit-focused message, strong offer and call to action, and then get it into the hands of your best prospects. You can also post your flyers in high traffic areas on bulletin and display boards, shop windows (with permission, of course), etc. Displaying your flyer at the point of sale, the checkout counter, for instance, can be a very nice way of getting people to see your message. You can have your flyers inserted in your local community newspaper. Some of the smaller weekly shopper newspapers will insert them for a very reasonable price. Have your flyer copied on brightly colored paper and it will not be missed. You can also insert your flyer in with your current orders, or arrange for another business to insert them into their orders. Sending unsolicited e-mails to strangers is a taboo on the Internet. It’s called spam–and most people don’t appreciate it. But, using e-mail to follow up with prospects or customers who have agreed to receive your messages can be very effective. Read articles on email marketing. More and more people are turning to the Internet for information about products and services. The time is rapidly approaching when all businesses will need to have a presence on the Web or they’ll be left behind. Excellent vehicle for delivering information and your marketing messages. The media is always looking for items of interest for their readers/viewers/listeners. By making effective and consistent use of News Releases you can get your message out for little or no cost. Is your product/service or business newsworthy? With the right slant, every business can be interesting. You may offer your expertise to the media and find yourself being interviewed on the evening news, or on a radio broadcast. Many successful marketers make excellent use of publicity and interviews to help deliver their message to their market. How’s your writing? One of the best and least expensive ways to deliver your message is by writing tips articles related to your products/services–like this one–and offering it to the media for free. The media gets content that will interest their audience, and you get exposure for you and your company. If you want to reach your target market, you have to be where they are — in social media. If your business lends well in visual medium, use photo-sharing and video sites such as Instagram, Youtube or Pinterest. Develop a presence on Twitter and Facebook. 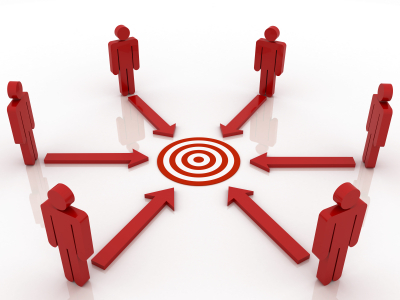 Check if there are niche-specific social media sites where your target market congregates. Read articles on social media marketing. People are searching online, and they are using review sites and directories to look for businesses like yours. If you are a local business, be sure to get into Google Places for Business https://www.google.com/business/placesforbusiness/ and subsequently in Google Maps. If your business lends well to reviews, get listed on Yelp and other review sites. Deal of the day websites such as Groupon, Living Social, Amazon Local, Woot and others have exploded in recent years. If your business lends well to deal of the day type of offering, try using these offerings. It’s not cheap (after all, you’re basically giving away your products) but it is something to consider if you want to reach a wider audience. Read the article GroupOn: Small Business Lessons on Coupon Advertising.